We all want to keep our minds sharp as we age. Alzheimer's is a horrid disease that effects all aspects of life, but we tend to forget that our brains need exercise and proper nutrition just like the rest of us. Take that spinach salad, that besides being good for your waistline, is literally food for thought as well, says the Healthy Aging Partnership, a coalition of 40 Puget Sound-area organizations dedicated to the health and well-being of older adults. An estimated 4.5 million Americans have Alzheimer's disease as of 2013, the most common form of dementia, and that number is expected to grow as the first baby boomers begin to turn 65, according to the National Alzheimer's Association. Given the odds, it’s not surprising that Americans age 55 and older fear Alzheimer's more than other diseases, including cancer, according to a 2011 MetLife Foundation survey. The good news is, "the lifestyle choices you make now can improve your brain health and lower your risk for dementia," says Dr. Jane Tornatore, family care consultant with the Alzheimer's Association, Western and Central Washington State Chapter. “Even a simple mental exercise like driving a different route home helps to create new brain pathways,” she says. 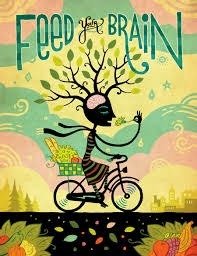 Feed your brain: Eat a low-fat, low-cholesterol diet that is rich in antioxidants and vitamins E, C and B-12; folate; and omega-3 fatty acids. That translates to generous portions of dark-colored vegetables and fruits (including kale, spinach, broccoli, beets, red bell peppers, tomatoes and berries); cold-water fish (including halibut, mackerel and salmon); and nuts (including almonds, pecans and walnuts). Move your body: Physical exercise - even as little as a daily 30-minute walk - promotes blood flow to the brain. Exercise your brain: Mental exercises - reading, writing, games and puzzles - build up brain-cell reserves and improve connections. Check the numbers: Keep your weight, blood pressure, cholesterol and blood-sugar levels in check and within recommended ranges. Cut the bad fat: Foods high in saturated fat and cholesterol are associated with an increased risk of Alzheimer's. Use mono- and polyunsaturated fats, such as olive oil or coconut oil, and pick baked or grilled instead of fried. Socialize: Those who regularly interact with other people, particularly during activities that also involve mental and physical exercise, lower their risk of dementia. So join that book club, take that dance lesson or volunteer at your local charity. Protect your head: Head injuries have been linked to an increased risk for later Alzheimer's disease and other dementias as well. Remember safety first; so wear your seatbelt and put that helmet on. Making minor changes around the house may also prevent falls. Mind your meds: Check with your doctor if a new medication doesn't feel right or if you are concerned about the interaction of multiple medications. Make a system, like setting alarms or keeping them in a visible place, so you'll take them at the time they are prescribed. Break habit: Find your sense of adventure! Walk a different path, eat or brush your teeth using your non-dominant hand, seek out out types of food you've never tried. These seemingly minor things create new brain pathways, and the more you have the better.